Switzerland is not generally known for their Automotive Industry. When we think Swiss, thoughts of precision clockwork, gorgeous chocolate, exquisite cheeses and excellent financing come to mind. But the Swiss did have their automotive moments, with the accent on, “did have”, except if you plan to hire a luxury car in Zurich, where you’ll find lots of options. Early in the 1970s, the Swiss automotive industry had its peak and then disappeared. Switzerland had one of the most dynamic automotive companies in the world. Monteverdi was a company that aspired to become the leader in Swiss auto-creation and the provision of exotic cars. However, because of poor management and the unrealistic expectations of its founder, Peter Monteverdi, the company came to a sputtering end in the early 1990s. The Monteverdi was not the only vehicle in the Swiss auto trade. Sbarro and Enzmann were also trying to gain a small piece of Auto supremacy. They too failed. These cars, in a certain sense, still continue to exist. If not in present-day manufacturing, it still exists in the memories of enthusiasts that loved Swiss cars. Presently, the Swiss do not manufacture motor vehicles in Switzerland. 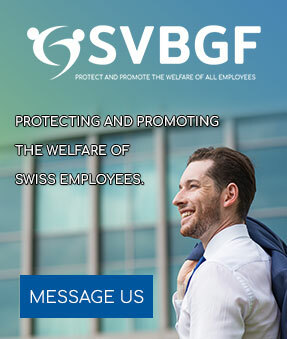 There are vehicle companies that are Swiss owned, but they do not operate from within Switzerland. The production of vehicles within Switzerland has long since ceased to exist. However, since the first appearance of car manufacturers in Europe, Switzerland had been involved in the manufacturing of parts, the prototyping of special cars, racing, etc. All vehicles on the market probably feature some kind of Swiss product. Although cars are not manufactured in Switzerland anymore, the Swiss still have a thriving, high in demand, Automotive Industry. The present-day automotive industry in Switzerland supplies a great variety of products for vehicles. Any car has some type of high-tech function located somewhere in the engine or inside the interior of the car. Most of these high-tech solutions have their origin in Switzerland. High-tech components for vehicles, such as sensory technologies or surface technologies, are only a few of the automotive designs that have their origin in the Swiss Automotive Industry. Except for a few known associations with prominent or famous automotive companies, worldwide, the Swiss Automotive Industry, (as a supplier), is not a well-known fact. The Swiss Automotive Industry, within Switzerland, mostly supplies accessories, spare parts and tires. They are also providing garage equipment and also give home to many luxury car rental agencies, like http://www.apexluxurycarhire.com/car-rental-locations/. Studies in the automotive supplier industry showed an expected larger growth margin and an excellent future. The continuous growth of car manufacturers and the competition between these car producers is becoming fiercer, daily. These companies are forced to adapt and improve on all their new models all the latest technologies and at lower costs. Manufacturers cannot produce and develop all the parts and technologies they need for producing the best vehicles. However, this is good news for automotive suppliers, especially the Swiss Automotive Industry. There is great interest in the Swiss mass-produced products because of their high quality and precision.